Fab night, loads of vloggers and music was great. Atmosphere was super friendly. Jack Maynard, one of the UK’s leading social influencers, made famous for his self-titled channel where he posts vlogs, challenges, and occasional comedy skit videos for his 1.2 million subscribers. He now announces his first solo tour Headlines which takes him to O2 ABC Glasgow, Manchester Club Academy, O2 Academy2 Birmingham, O2 Shepherds Bush Empire in London during October. As the word spreads the excitement builds resulting in a huge demand for Jack Maynard tickets. We really do recommend booking early as they will sell very quickly. Fortunately, selecting and making your gig ticket booking is made easy with Gigantic as you can access the site 24/7 using your tablet, computer or smartphone whilst in the comfort of your home or whilst busy on the go. We recommend you set a personal reminder with Gigantic right now. This means you will be alerted with a text message or an email just prior to their release at 09:00 on Saturday 3rd of March. Before Jack Maynard became the internet sensation he is today, he worked as a personal trainer. Today, he is famous for his hilarious comedy plus his insightful vlogs revealing his real life. He made the break from viral legend to real life personality after appearing on I’m A Celebrity, Get Me Out Of Here! In just over a year on YouTube, Jack has totalled 1.3 million subscribers, with over 117 million views to date. He currently has 785k followers on Twitter and 852.5k followers on Instagram. In addition, Jack is one part of parody music group GOAT, alongside his brother, Conor. The boys have written and produced 2 hit tracks - Grenade and First Car, both of which have landed in the UK Top 40, and garnered multi-million downloads and views online. 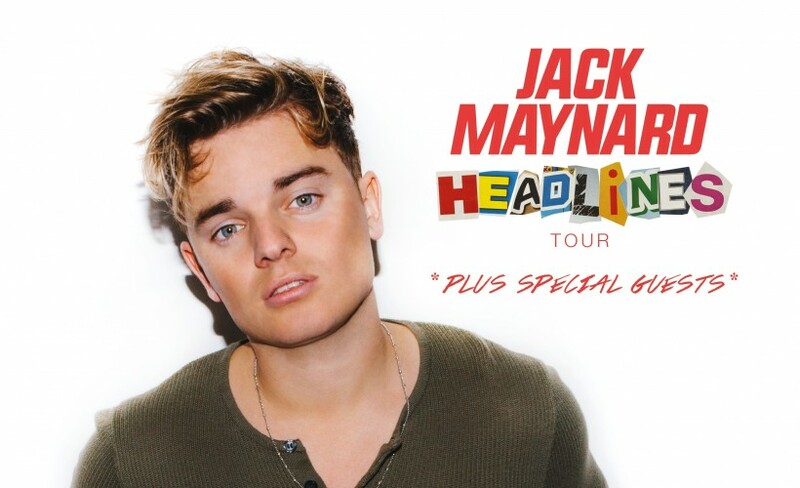 With all the fans excited, it will not be long till our limited supplies of Jack Maynard concert tickets all sell out so make sure you book yours before they are all gone. Gigantic is proud to have earnt a reputation for providing excellent customer service in helping you select from a vast array of essential gig tickets making us the best place to come whenever you are booking your big night out.